In this article, we explore how to protect building foundations with pre-applied waterproofing. Protecting below grade spaces such as tunnels as well as foundation walls and basements is a complex challenge, due to a number of environmental factors that can degrade the structure or cause tremendous damage to what is stored within it. Keeping water and moisture out can be a vexing challenge. Water is under pressure below ground and forces its way through even the smallest cracks in the concrete. Water infiltration can cause problems by corroding the structure and damaging materials housed within the building. These vapors need to be mitigated to protect people working or living in the buildings on these sites. Concrete is also susceptible to damage in coastal areas. When concrete is directly or indirectly exposed to seawater, it can deteriorate due to sulphate attack and chloride-induced corrosion. Extreme climate conditions bring additional challenges for waterproofing below grade structures. In tropical climates, for example, the disparity between the humid outdoor temperature and the cool concrete can cause condensation on the concrete slab and walls, which can result in musty smells, mildew, and mold growth. Likewise, in rainy, damp climates, the structures must contend with exceptional hydrostatic pressure as well as the ongoing need to redirect rainwater away from the foundation. To address these environmental challenges, there are three primary types of below grade waterproofing protection. Waterproofing admixtures are added to ready mix concrete to reduce the permeability and drying shrinkage of the concrete, reducing the risk of water infiltration. Waterproof concrete is usually best for lower risk applications, such as unfinished space where some level of moisture is acceptable to the building owner. Waterproof concrete is attractive for these applications due to the low material cost and because there’s no need for an additional waterproofing step. Extra care is needed in the placement and finishing of concrete that uses waterproofing admixtures, however, so it’s important to factor in the need for well trained staff and quality control steps when using this method of waterproofing. A dewatering system may be used temporarily while construction is under way or may be a permanent part of the waterproofing solution. With these systems, water and moisture is allowed to flow through the concrete and then the system collects the water and moves it away from the structure. Permanent dewatering systems can work for lower risk projects or can work in combination with either waterproof concrete or pre-applied waterproof membranes for higher risk projects. They are not recommended for environments where there is soil contamination since they don’t prevent gas vapors from entering the structure. The costs of dewatering systems can be considerable if used on a permanent basis, since they require maintenance to prevent clogging and require backup generators to prevent failures. Pre-applied membranes such as the PREPRUFE® Plus waterproofing system are often recommended for critical below grade spaces, such as hospitals, schools, condominiums, museums, and retail spaces. The membrane is placed prior to the concrete being poured. The concrete is then poured and creates a bond with the membrane as it cures. Once the bond is formed, the membrane prevents water and moisture from infiltrating the structure. 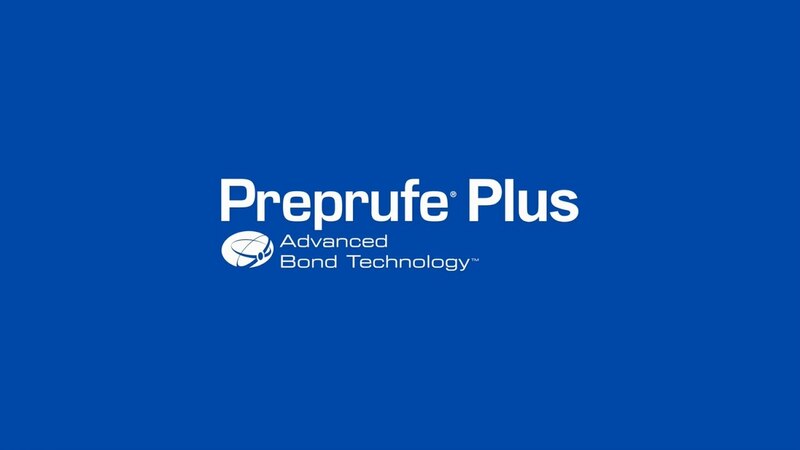 The PREPRUFE® Plus waterproofing system also provides a critical barrier against hazardous gases such as methane, radon, and volatile organic compounds that can seep into the structure. This means one membrane can serve as a barrier against both water and against fumes from contaminated soil. Certain types of below grade structures, such as deep foundations or those with luxury spaces, require the highest levels of protection. In many cities, developers are contending with limited lot sizes by creating extended basements or other below grade spaces built deep in the ground. It’s common to see multi-level parking garages or mixed use spaces several basements deep. In these situations, it’s prudent to apply high performing waterproofing systems to combat the great external pressures on the foundation and aggressive soil conditions that can easily lead to water infiltration and corrosion. Dewatering is also needed during construction, since these structures are usually built well below the water table. The type of waterproofing system needed depends on many factors, including how the below grade space will be used. If the basement will purely be unfinished space, is not within the water table or in an area with a fluctuating water table, and won’t house valuable items, it may be acceptable to use solutions such as waterproof concrete. However, if the space will house valuable items (for example luxury vehicles, artwork, or medical equipment); will be used as finished space; is within the water table; or is in an area where the water table is likely to fluctuate, it is prudent to use a bonded, pre-applied waterproofing membrane. This solution is ideal for waterproofing mission-critical spaces. Subway and railway stations also tend to have below grade spaces that necessitate a high degree of protection from water ingress as well as aggressive soils. Any moisture or water leaks can result in costly repairs and service disruptions. The intense hydrostatic forces on the underground tunnels mean there is a constant threat of water infiltration. These demanding conditions require waterproofing systems that are highly durable and prevent lateral water migration. Having a geotechnical report produced is one of the essential first steps prior to specifying a below grade waterproofing system. It provides in-depth details about the site conditions, including the risk of flooding. The report also offers a solid understanding of the soil composition, including whether there are harmful chemicals in the soil that need remediation. When considering a pre-applied waterproofing membrane (also called blindside waterproofing), one of the critical factors to consider is the type of bonding it offers. Pre-applied waterproofing systems such as the PREPRUFE® Plus waterproofing membrane form a bond with the concrete. Water will take any opportunity to get through even the tiniest spaces, so the system must prevent any gaps – no matter how small – between the concrete and the membrane. Some pre-applied waterproofing membranes use fleece or other coverings that sit between the concrete and the membrane itself. This often causes complications when a leak occurs because water migrates between the concrete and the waterproofing membrane, so it’s difficult to assess exactly where the leak is occurring. Preventing this lateral water migration involves finding a waterproofing membrane that offers a tight, integral bond with the concrete. Learn more about pre-applied waterproofing membranes.